We desperately need a wholesale shift in how we perceive, design, and install landscapes. Our industry has the opportunity to help create long-term solutions to effects of climate change and the expected shifts in timing, intensity, and duration of precipitation events. Water availability, use, and waste within the city has become a main focus of the Department of Public Works, and substantial effort is being made by the city and irrigation contractors to increase the efficient application of water through ensuring systems are designed and maintained correctly. However, water use will continue to be a contentious subject throughout the semi-arid west. Meeting future water restrictions will require creativity in how we design and construct landscapes in urban settings. One way to do that is through design and construction of projects based on the ecology of specific site locations. Ecology based landscape design considers hydrology, soils, plant associations, and underlying geology of a project site. In ecological terms, designs take into consideration the biotic (living) and abiotic (non-living) aspects of a site and strive to balance the ecological function of a landscape with the aesthetic values of the property owner or manager. Emulating natural processes or creating landscapes with the intent and ability to “kick-start” many of the functions of natural systems, such as nutrient cycling or stormwater management, can also significantly reduce a created landscape’s requirements for water, fertilizers, and other inputs. These methods address the sustainability of a project, but more importantly, move beyond mere sustainability toward regeneration of ecosystem services that are generally lost through disturbances inherent in development and construction activities. Examples of ecosystem services include air and water purification, stormwater management, reduction of urban heat island effects, pollination, aesthetic quality, and other functions benefiting people and societies. An effective approach to this type of work is the use of native vegetation appropriate for the specific project location. Ecological characteristics vary considerably, and working with vegetation adapted to specific environmental conditions increases a project’s efficiency through increased resiliency, inter and intra-species relationships, and preservation of community structure and existing energy flows. These qualities simply increase the efficient functioning of a created landscape, and reduce or eliminate the need for artificial inputs (such as water or fertilizers) resulting in an economic benefit while providing a sense of place and functional beauty. Another approach is to utilize on-site resources to the greatest extent possible. Capture and control of stormwater is a common requirement in urban development, and is addressed in many Codes, Covenants and Restrictions (CC&R’s) in municipalities throughout the western United States. But shifting our view of stormwater as bothersome to a highly valued resource can encourage landscape designers and architects to include features designed to capture and use stormwater as a secondary or even primary irrigation source. An example of this is the creative design of vegetated bioswales. In many instances stormwater is directed off a roof, through a gutter, and down a spout or chain to a large hole in the ground filled with drainrock (a drywell). A more suitable use might be construction of a dry stream bed or vegetated swale designed to capture runoff from the downspout and use that seasonal moisture to create a unique climate and choose plants adapted to those seasonally moist areas. A number of native species naturally occur in similar environmental conditions, and can tolerate extremely dry soils during the heat of the summer. These types of features not only utilize a scarce resource, but add a unique aesthetic element to landscapes. Similarly, reusing soils and rock from excavation of a site as backfill and during landscape construction can help maintain some of the biological activity existing on site prior to disturbances. Projects designed to maintain or enhance the functional ecology of a project site have been shown to greatly reduce a landscapes dependence on human inputs such as water or fertilizers. Local municipalities can often supply examples of these types of projects. One key element of landscapes designed to maximize efficiency is biodiversity. Although biodiversity has been defined in many different ways, the term generally refers to the range of organisms in an ecosystem. In a landscape setting, biodiversity is commonly used to refer to the number of plant species installed, and the diversity of soil organisms supporting the landscape. Maximizing both above-ground (plants) and below-ground (fungi, bacteria, nematodes, etc) diversity helps create a self-supporting and self-regulating landscape resistant to pests and resilient in response to changing environmental conditions. Research continues to provide examples of the essential relationship between plants and soil biota, and several companies provide commercial fungal and bacterial inoculants suitable for urban landscapes. Our relationship with landscapes and many of our aesthetic values are a result of a long history of cultural values and marketing efforts of landscape, irrigation, or fertilizer companies. 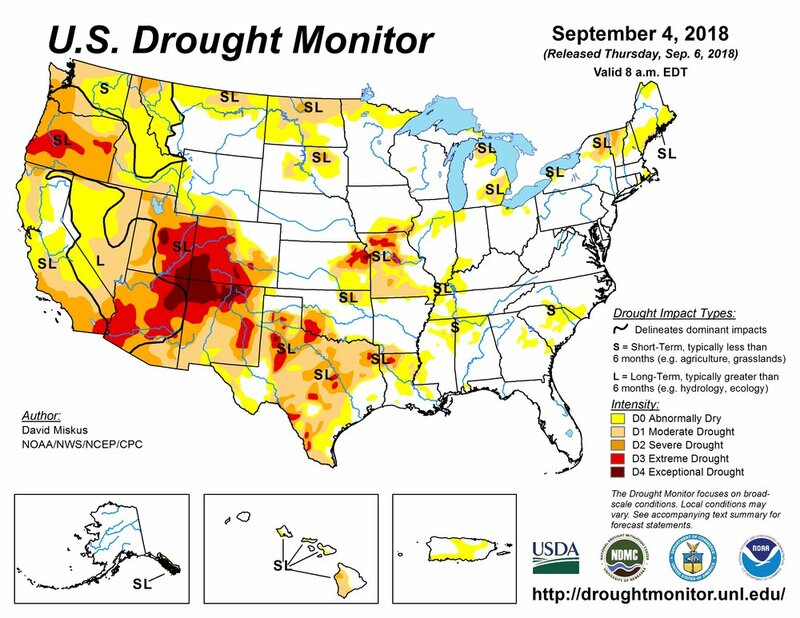 Recent drought conditions in much of the semi-arid western U.S. and a growing awareness of environmental issues by homeowners and contractors are challenging those historic views. Modification of municipal code, development of Best Management Practices (BMP’s), and an increase in application of Integrated Pest Management (IPM) techniques in project construction and maintenance are signs of a subtle shift in how we view and interact with created and managed environments. But the number of projects addressing concerns over resource availability (predominantly water) is still small. An increased understanding and knowledge of environmental issues and how to address expected effects of climate change is critical for the continued viability of the landscape industry. New technology and shifts in design concepts and construction techniques within the green industry continue to improve efficiency of created landscapes, but some feel those changes are not fast enough or effective at addressing long-term sustainability of our industry. We as an industry can be proactive and act as leaders in the development of a truly sustainable future.